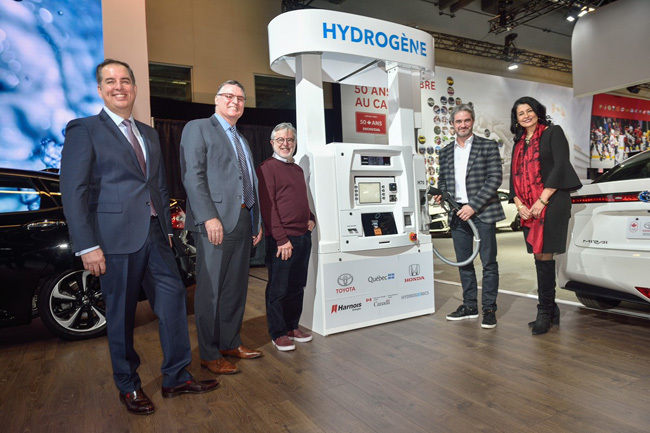 Toyota Canada joined with Honda Canada and other hydrogen partners at the 2019 Montreal International Auto Show to provide an update on the overall progress of hydrogen fuelling infrastructure for fuel cell electric vehicles (“FCEVs”) in Quebec. The building of Quebec’s first multi-fuel station, located in Quebec City, is well underway. In partnership with Harnois Energies and Hydrogenics, the station is being built with investment support from the Government of Quebec, through Transition énergétique Québec (TEQ), as well as Natural Resources Canada and Toyota. Toyota also supplied an additional, stand-alone hydrogen fueler for the station to help ensure uninterrupted service for its customers. Honda Canada recently joined the hydrogen movement in Quebec, and will be providing investment support for the Montreal station, bringing this cutting-edge technology closer to more Quebeckers and making FCEV travel between Quebec City and Montreal even more convenient. 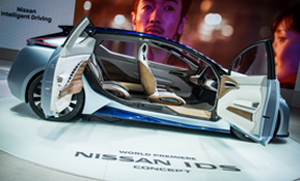 At last year’s Montreal International Auto Show, Toyota committed to delivering 50 hydrogen fuel cell electric vehicles to its first Canadian customer – the Government of Quebec. With this first fleet of Toyota Mirai now on Quebec soil, Toyota is the first automaker to bring hydrogen fuel cell electric vehicles to Canada en masse. Toyota Canada has been advocating, investing and building partnerships to prepare the Quebec market for fuel cell electric vehicles. The company has been working closely with the Government of Quebec and other hydrogen stakeholders to put in place the necessary fueling infrastructure, training and service support for FCEVs. TCI has invested in training for Quebec first responders to help them understand how fuel cell electric vehicles work and how to safely handle them. The company has also trained its local Toyota dealership technicians, and is upgrading its Quebec Zone office to enable advanced level support for FCEVs right in Quebec. The Toyota Mirai hydrogen fuel cell electric vehicle has a 500km range, refuels in five minutes and has proven cold-weather reliability. 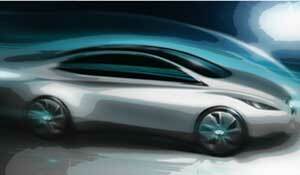 Most importantly, it produces zero carbon emissions.